Is Pet Insurance All it's Cracked Up to Be? Is Pet Insurance All it’s Cracked Up to Be? Many clients come in with their new puppy and kittens asking us, what’s the deal with pet insurance? Insurance for your pets is not a new concept, just the same as your car insurance or your own personal critical illness insurance. It is not a scam and can be very beneficial. We encourage everyone to do their research to find what works best for them. There are a handful of pet insurance companies and they offer similar plans with deductibles and monthly premiums. Your monthly premium depends on what kind of coverage you choose, breed of your pet, area that you are in and any pre-existing conditions your pet may have. You can adjust your premiums and deductible to balance how you would like to pay. A low monthly premium and have a high deductible, vice-versa or somewhere in the middle. I encourage pet owners to get insurance while their pet is young, before any pre-existing issues occur. This way the entire pet is covered without exclusions. You may be offered a free trial, take it! If your pet does not get sick in this time you don’t get the opportunity to try it out but it does give you 4-6 weeks of free insurance in case something does happen. This time can be used to research companies and have peace of mind you are covered. There are countless stories of clients who have taken their free trial and their pet did unfortunately get very ill in that time of the trial. The insurance company they had the trial with paid for those bills no questions asked, no money out of the client’s pocket. We have seen upwards of tens of thousands of dollars paid for by an insurance company that the client has not even paid yet. That to me is a pretty good deal! What if I just save the money I would pay for my premium with? This is an alternative, however, if your premium is $50 dollars a month, which is only $600 dollars a year. Should your pet have an emergency or unexpected illness you could expect to pay hundreds or thousands. As an example, if your pet were to develop vomiting and diarrhea it could be anywhere from $200-$400 or break their leg jumping off the bed, it could cost anywhere from $2000 to $4000. Having pet insurance may alleviate the stress of the vet bills. 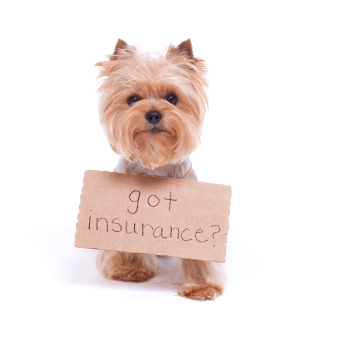 If your pet was insured you may only need to pay your deductible, saving you money and stress. Not everything is covered under every insurance policy, preventative care and pre-existing conditions can be excluded. You’ll pay for the annual visit and vaccines but you are covered if your pet acquired an illness. Talking to the insurance companies and getting an understanding of what you are paying for, when do you need to pay your deductible and what they would be paying for is an important part of your research. Pet insurance is not for everyone and some people choose to go other routes. When faced with an emergency, it is nice to not have to make the all too common decision between money and your pet.